Pruritus (also termed itch) is one of the most common symptoms in dermatology which has been described in various sources and contexts for many centuries. Defined as an unpleasant sensation leading to the urge to scratch, this sensation is divided into acute and chronic based on its duration. Chronic pruritus may be associated with a number of cutaneous (psoriasis, atopic dermatitis, urticaria etc.) or systemic disorders (renal, hematologic, neurologic, hepatic etc. ), as well as due to drugs, or even as psychogenic itch. There are several epidemiological studies on pruritus in the general population, while studies in specific groups (such as cutaneous or systemic disorders) are more prevalent. The pathogenesis of pruritus is complex and still not fully understood. Despite its associations with pain, pruritus is currently regarded as a separate sensation, which is transmitted from free nerve endings through a complex pathway leading to the central nervous system. Various neuromediators, cytokines and other substances are associated with the development of pruritus. The symptom provides significant burden to the affected individuals in terms of limiting health-related quality of life. Pruritus negatively affects everyday life and social interactions. The diagnostic measures instigated in chronic pruritus include conscientious history taking, complete physical examination with the special emphasis on skin, adnexal structures and lymph nodes. Occasionally, laboratory tests, imaging studies, histological examination or other special measures are undertaken. No universal treatment of pruritus exists. The European Guideline on Chronic Pruritus were published in 2012 (Weisshaar E, Szepietowski JC, Darsow U et al. Acta Derm-Venereol 2012;93:509-514). European experts are working now on the update of the guidelines. Generally, the management of pruritus is based on general measures applicable to the majority of patients (such as treating an underlying disorder or avoiding precipitating factors), as well as upon topical therapy (especially emollients), phototherapy, systemic therapy (including biological drugs) and miscellaneous modalities that are useful in selected cases. 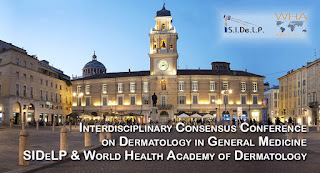 The knowledge about pruritus is constantly growing, which will undeniably result in new aspects concerning its pathogenesis, diagnosis and treatment in the future.